How To Make Hung Yogurt (Curd) Easily At Home For Hair Growth? How To Make Hung Yogurt Easily At Home For Hair Growth? 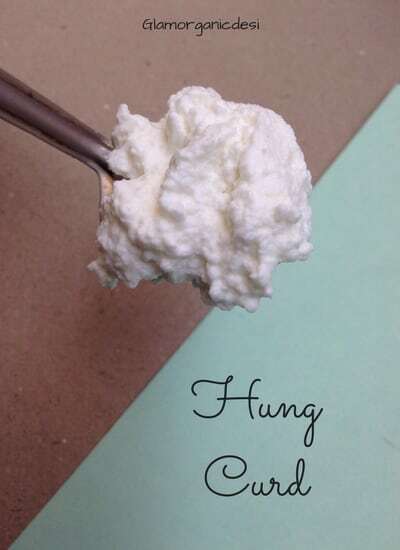 Why do I use hung curd dedicatedly in all my DIY hair packs? Because out of the numerous recipes passed down by my Nani, the most important nugget of DIY knowledge was to use hung curd for hair growth. But why should you use hung yogurt for hair? Because it has been drained off its water content. As a result, whatever is left is creamy in texture. Now, when you’ll use it to make your DIY hair packs, the resultant hair pack will be creamy in texture. Frankly, a lot many times DIY hair packs don’t throw as amazing results as you want them to, right? Simple reason – You didn’t use hung yogurt (curd). Rather you simply opted for plain old Dahi from the packet of Amul, Dairy Fresh, Mother Dairy, etc. Keeping aside other possibilities of why your DIY hair pack may not have worked for you, here’s an easy, simple and quick fix that can do the trick for you – Make hung yogurt at home. 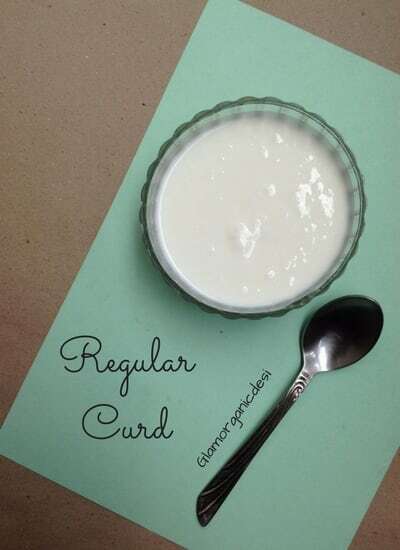 1) Curd/Yogurt – Any brand’s curd will do – Dairy Fresh, Mother Dairy, Amul, etc. Even homemade curd is fine. Step 1 – Make an apparatus as shown below. Step 2 – Pour curd over the strainer. 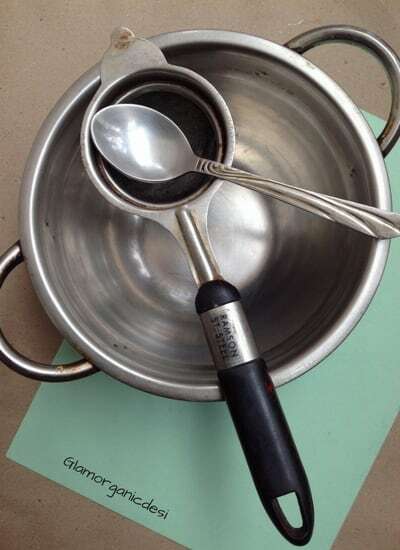 Step 3 – Leave it aside for 8-10 hours (overnight) for all the water to drain into the bowl. I do this since I have long hair and hence, have to use more curd. More curd = More water to drain. That is why, I leave it overnight. Anyway even if you have shoulder length hair, prefer leaving the apparatus overnight. You’ll be surprised by the amount of water in your curd by the morning. Step 4 – Next morning, all the hung yogurt would have collected in the strainer while the water would have drained into the bowl. This is the curd that you need for your DIY hair packs. Q 1: How can I use hung yogurt for hair care? A 1: This will be one of the many ingredients that you should mix in your hair packs. 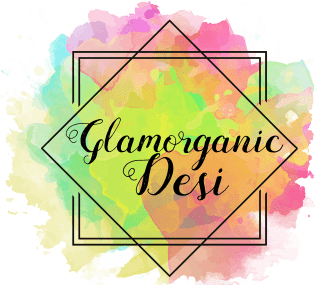 In fact, I make all the hair pack recipes on Glamorganicdesi using hung yogurt. This is a hair spa of mine using Aroma Essentials products wherein the hair mask I made again used hung yogurt. Q 2: Can I drain it for more than 10 hours? A 2: Depends on the weather. During summers, store the apparatus in the fridge. Else fungus will develop on your curd. With that, now that you have learnt how to make hung yogurt at home easily, set aside the weekend for some DIYs. This time it’ll be a better experience! Need a guide to help you with your organic hair care journey? Here’s how you can get one. Let’s touch base soon! This little change in our DIY hair packs made a tonne of difference to our hair texture, Filipa. 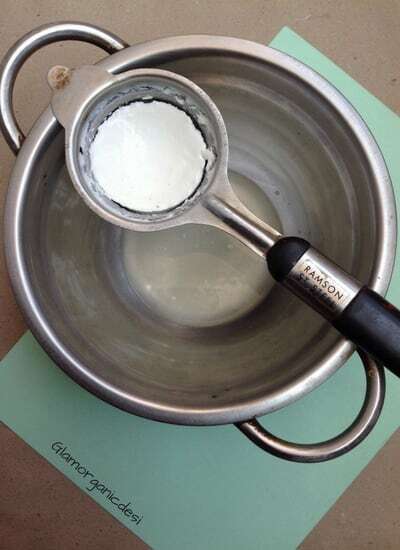 I never tried DIY hung curd, but it is really not hard to make the product, and if you say it is effective (after using it for some time), then I shall undoubtedly try it. What I like most about hung yoghurt is that it solves your dandruff issues, and I have had these for a long time. The only part that makes me worried is the 10-hour time I need to leave the yoghurt aside… I hope the product will be effective on my hair. Thank you! I mean leave it to drain at night. By the next morning it will be ready on its own. While you’re sleeping your hung curd is getting readied. I find this quite convenient and doable. 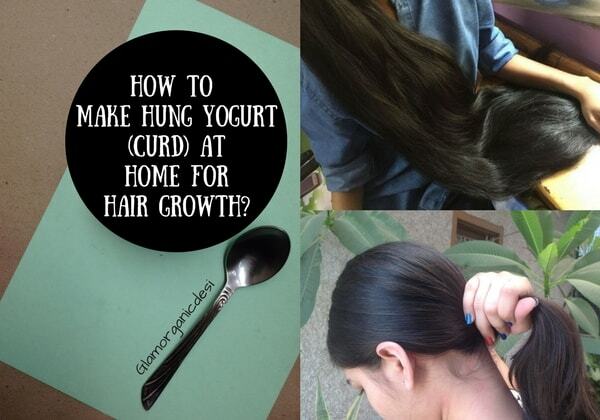 Interesting to hear that you can use hung curd for hair growth. That’s very handy. And I’m glad that you’re sharing your DIY. I’m so glad you referred to a frizz control hair pack! My hair is so frizzy! I will definitely try that out! On its own, hung curd won’t be splendid for frizz control, Carola. Add other power packed ingredients too like papaya puree, bananas, eggs and Aloe vera gel (straight from the plant). This blend will be a truly effective frizz control team. I tried this before but it was messy. So I switch to vinegar and works better! Love the results and gives me conditioned hair. Hung curd isn’t messy, Blair. Normal one is. In fact, it is so convenient to make and use that I hardly remember using any hair pack which doesn’t use hung curd. Vinegar adds way too much of volume to my hair so much so that my head starts resembling a cotton candy. That’s why I prefer not using it although I agree it definitely works. Looks like a great hair pack. I would definitely try to make one for me. Does it help in stopping hair fall as well? My hair fell like crazy. For hair fall, a set of 2 remedies would work better when teamed up, Heraa. 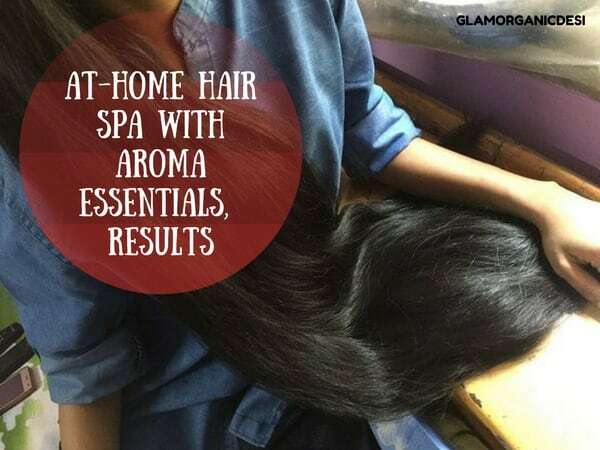 2) A homemade hair pack – You can choose any one from the blog although the easiest to make would be one made up of hung curd, aloe vera gel from the plant, eggs, bananas and hibiscus flowers. Your hair looks so shiny! I struggle with hair moisture, big time. It was so bad that I had to cut my shoulder length locks, and even now sometimes I get dandruff. I don’t have a lot of hair, low fade cut and I take care of it but it’s always dry. A good amount of time goes into making it this shiny, Feldon (humble brag!) I think a few ingredients will work well for your dry hair – Aloe vera (from the plant), banana, papaya, eggs and of course, hung curd. The drier your locks, the more often the application of a hair pack made up of these ingredients. 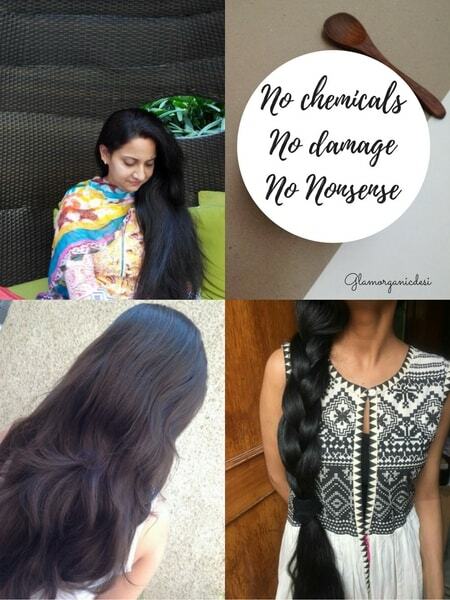 Dry locks are a hassle honestly during winters. They’re almost like a broom unless fed properly. 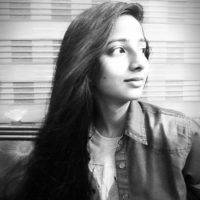 I wouldn’t say that the absence of hung curd would be the reason behind it, Tripti. Never the less, including it now in homemade hair packs will certainly raise the goodness (and thus, effectiveness) of your masks.